Unwritten Etiquette of the Governess World: Salary Recommendations - Do you pay a fair wage? It is funny but the truth is that most of us are waiting for pay day to get our salary. My how times have changed in the governess world! 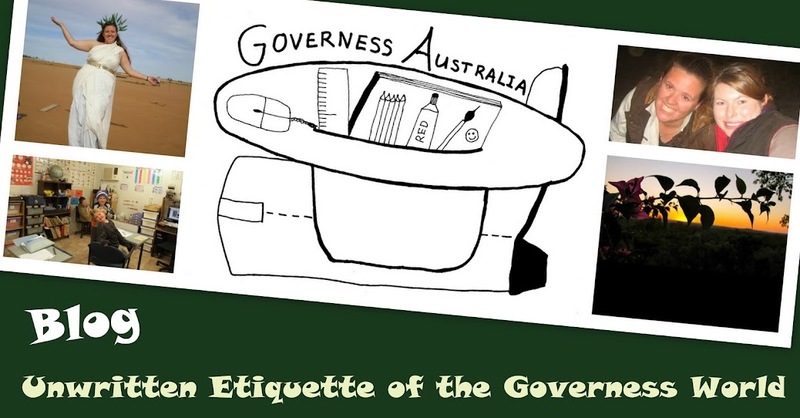 In 1987 I was a governess outside of Cunnamulla. Despite being one of 11 first year graduates of the TAFE Governess/Tutor Course who were considered to be the highest qualified at the time(other than graduated teachers of course)my wage was $98/week. This came with no car and of course no internet, but did come with the use of the wind up party line phone when needed, board and food. I truly am glad that conditions have changed so very much for you all today. I look back at my time as a governess with joy and appreciation. I hope that one day you too will have such fond memories.